- Easily connects to PC, MP3 Players, Walkmans etc. 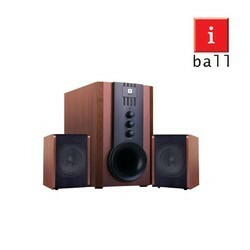 We have a team of proficient employees offering us best range of 4.1 Nightingale iball Speaker. To meet the various requirements of the customers, we are involved in offering a wide assortment of I Ball Speaker. 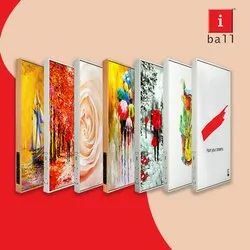 Ball Cabinet Mosaic- named to highlight the beauty of its resemblance to mosaic, is one such piece of accessory for your computer system which would not onlyupthe glamquotient, but also boost the performance levels manifold. Complete wood encased high quality 2.1 speaker with USB & SD/MMC Inputs. Gives excellent sound. For those who need quality sound and looks great too! - Break through Technology for superb precision. - Blue Eye Opti Technology. 3 buttons Optical Mouse with scroll wheel. - Blue Eye Technology allows precise cursor control on virtually every surface. It works even on glass!